2003 Wales rugby team RWC replica jersey, 2001 British Lions replica jersey and Wales Grand Slam 2012 team T-shirt, signed by Ryan Jones. All in VG condition, a nice group. 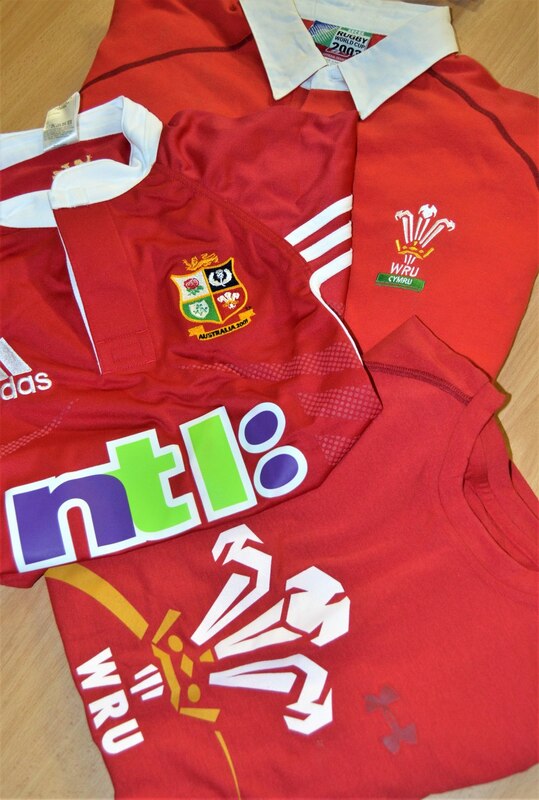 NB: Donated by WRU President Dennis Gethin to be auctioned for the benefit of the WRU Charitable Trust.